Vissla is a young Californian brand. Under the motto “surf everything and ride anything” this brand represents creative liberty and a generation of creators and innovators. Came to be in 2014 by Paul Naude, this company looks to differentiate itself from the rest. For that, it looks for people that enjoy surfing in itself and not just the competitions. Going right into the analysis of the wetsuit. The Vissla 7 Seas 4/3 mm is made for cold waters between 10ºC – 14ºC. This suit is 100% super elastic, which makes it lightweight, warmer, softer and easy to put on and take off giving us more range of motion. It´s coated with a hollow thermic fiber to trap the warmth in us and so that the drying process is faster. Lastly, it adjusts to our anatomical body structure that gives us performance without any restrictions. 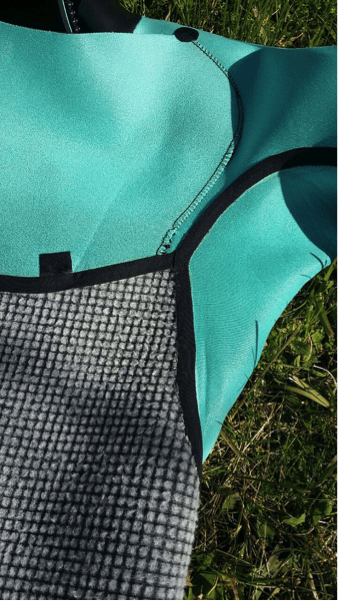 In so far as its durability and seal, this Vissla wetsuit counts with a chest zip and a triple seal. The cushions on the knees are really resistant to abrasions. The wetsuit also has an easy access to the security cord for the keys. Our opinion is based on 10 uses, a warm and elastic wetsuit. It´s worth mentioning its pleasant feel, outside and inside. Its plush interior is very soft. It reminds us of the sensation of putting on a cotton pajama. The exterior is a soft and spongy lycra. The knee pads remind us of the Xcel wetsuits. Something that surprised us, since we remind you that Xcel is part of Billabong. 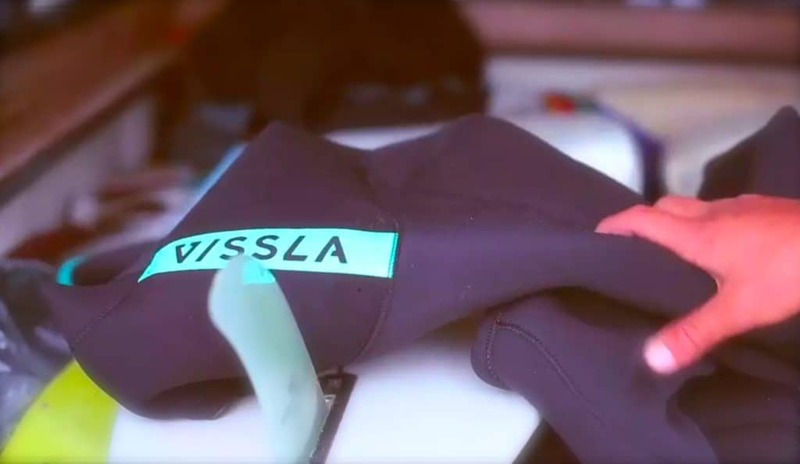 Vissla was founded by an ex directive from Billabong, Paul Naude. So the fact that they share the same elements in certain places is to be expected. “Copy Paste” is the strategy, that is if something works, why not do it again? Now the zip. It has a security brace so that the zip doesn´t accidentally open, reminds us once again of an Xcel. Today, Xcel has substituted the brace for a magnet. Wristband. The wristband and the leg bands have elastic bands that do their job perfectly. These tight wristbands and legbands make the wetsuit stay put and not slip. Other important aspects: The neck doesn’t rub. Maybe not as important for some but the truth is there are a ton of wetsuits that haven´t been able to overcome this. There isn´t anything more annoying than having a rash appear after a session there. 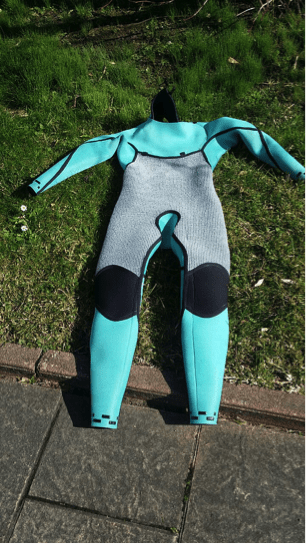 This wetsuit may not be as well-known as an O´Neill, Rip Curl or Xcel. But the truth is it has left us really good sensations. At first glance you can already see it’s a good product. Made up of few parts, it has the impermeable effect that we are all looking for. Less seams, which also means less chafes, and less water entering the interior and with not many flourishes, it’s a design that we personally like. Its price is 269€. 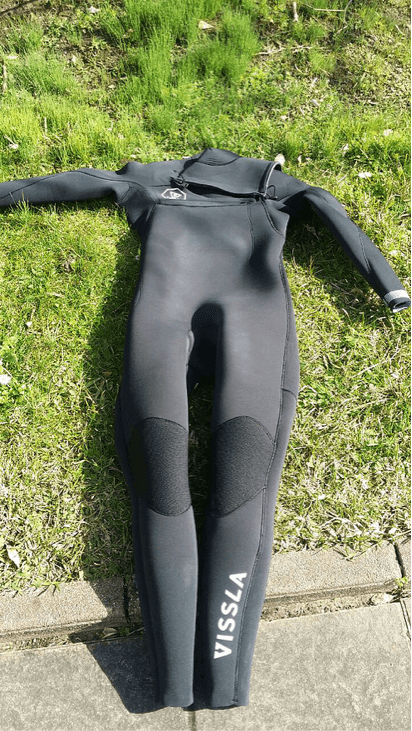 It’s a mid-range wetsuit, not as cheap as one from Decathlon, and as expensive a 4/3 from Hurley. 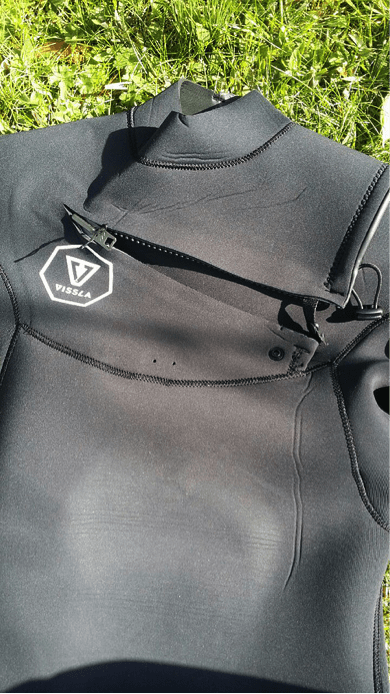 Without a doubt the Vissla 7 Seas 4/3 mm is a very attractive wetsuit for this winter. Although it still has a lot of work before reaching the level of the Hyperfreak from O´Neill, our favorite wetsuit for winter. If you´re thinking about buying a wetsuit, visit our carefully curated selection of neoprene wetsuits in Single Quiver. 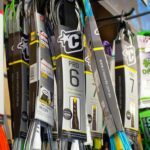 We have a section for wetsuits on sale, with discounts of up to 40% on surf wetsuits from the best brands in the market. We leave you with the introduction video for the 7 Seas from Vissla. If you want to know more opinion on wetsuits, please visit our surf material section.